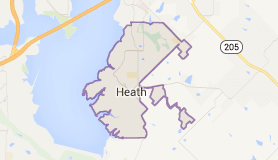 In Heath Texas, the Internet has made the job of a real estate agent much easier and less time-consuming. Agents don’t have to jump in the car every time something needs to get done. The 6% real estate commission system designed in the 1970’s, is still upheld by many brokerages. More than ever before, representing buyers and sellers is a tabletop business and escalating home prices don’t justify higher commissions. Researching the market is no longer an Easter Egg Hunt where only the agent knows where the homes for sale are. Tools, technology, and rules of fairness have made finding homes, writing contracts, negotiating, presenting, and executing contracts, more efficient than ever before.